Road Work Ahead provides traffic control services to all of Southern Idaho. We provide traffic control planning to help make your jobsite safe and also sell new and used traffic control equipment to fit your needs. 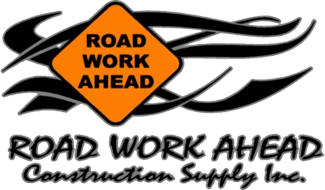 Road Work Ahead Construction Supply, Inc. has grown at an incredible pace since we began, and we have several distinct branches of our company that compliment each other. Traffic control plans and services, construction supply store and showroom, Pro-Spec Asphalt Sealant, Sage Supply, and Twin Falls Signs. Please, do not hesitate to contact us if you have any questions about Road Work Ahead or questions about the services we provide to our clients. You can stop by, call us or e-mail us and we will direct you to the appropriate person. We look forward to hearing from you!